Hi there! I’m a Web App! View The Progression of Web Apps on Notist. No, this title is not a typo. This talk is about Web Apps in general. 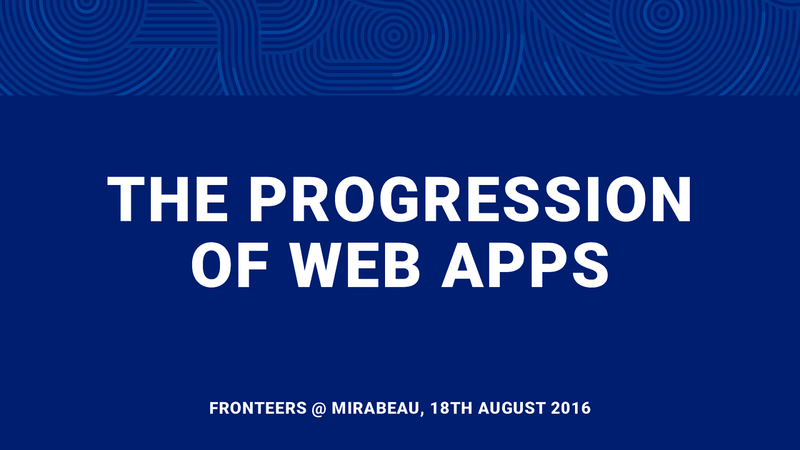 We look back to the past of Web Apps and we’re going to look how we can create native apps using web technologies. Of course we’re going to look at the future too. Progressive Web Apps – what are they? And is the web now finally able to challenge native app development?